Knights will now face Davao Occidental Tigers in the best-of-five finals. 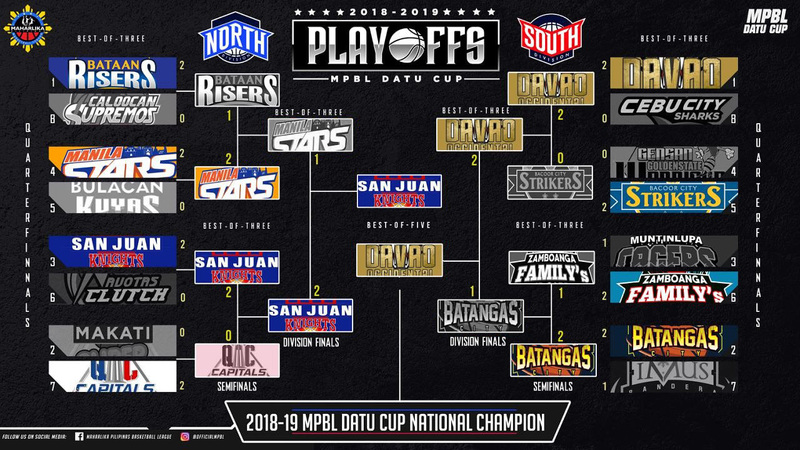 The 2019 MPBL National Finals will start on Thursday, April 11 in Davao. Final score: 85-74 in favor of San Juan Knights-Go For Gold. San Juan advances to National Finals.